From China to the Czech Republic and Dublin to Dubai, his ability to move smoothly between underground house and techno and his ear for cutting edge electronic music mean that Louis Osbourne has been a regular fixture at world-renowned clubs like U60311 (Frankfurt), Spundae (LA), Polar TV (Berlin), Tribehouse (Dusseldorf), Centro Fly (New York), D-Edge (Sao Paulo), Home (Sydney), Bugged Out (Liverpool) and Pacha and Amnesia (both Ibiza). 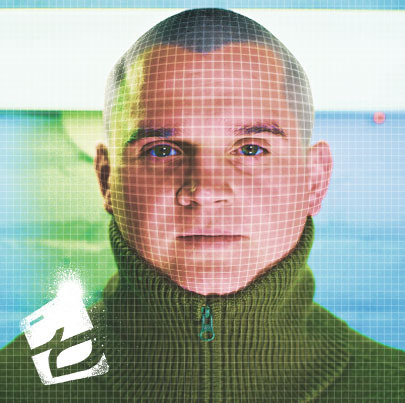 Louis has also held a residency at Birmingham techno institution House of God (from 1996 to 2002) and has played at all the big dance festivals, including Creamfields, God’s Kitchen Homelands, and Oxegen. Louis has been spending more time than ever in the studio and has had projects signed to German labels Kingdome Kome Black & Mylo records. His first release for the label, entitled “Maia,” is out now and includes a Ramon Zenker Remix (Hardfloor). The track gained support from the likes of Steve Lawler, Carl Cox, King Unique, Deepgroove and D.Ramirez & many more. After having spent the previous 3 years gaining a Law degree along side his music career (“I felt like I needed to broaden my horizons”), Louis is back with a bang focusing on his music projects 100%. He has just formed Mija Recordings which launched in September to critical acclaim; he has Mija parties taking place in Frankfurt & other locations in the coming months; and now has his radio show, Louis Osbourne presents Mija Music on RTÉ Pulse, with syndications going out to other networks worldwide.